Oil painting on board for sale by Toperfect manufacturers of both oil on wood painting and on canvas, famous acrylic painting on wood gallery that supplies oil painting on board cheap and techniques online. 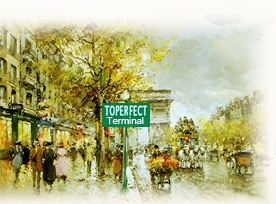 Toperfect, the end to your hard journey of searching for suppliers to wholesale oil paintings on board! Toperfect Art supplies paintings of wood besides techniques and canvas art for sale, it is useful for painters and art fans. Our online gallery not only supplies reproduction, but also sell oil painting on board. Our painters in manufacturer are good at famous art reproductions and other beautiful painting on boards wholesale such as painting on board, oil paintings on wood in museum quality. All paintings on the website can be painted on wood with oil paints or acrylic paints, and drawings on paper with various medias. To buy an oil painting on wood panel, please choose painting type as "Oil Painting" from the drop-down menu after click any picture in "Catalogue", then email us that you want it as painting painted wood. Please notice that the price of paintings on wood for sale is higher than canvas paintings. The sizes of oil painting wood are small, here are the general prices under terms of 1USD=6.5RMB. 12*16 inch, medium quality starting from $30, high quality starting from $77. If you use a compressed-fiber wood you can produce your own texture when preparing the painting on wood art. After the usual sandpapering to roughen the surface, give it a coat of white lead and allow it to dry. Apply a second coat, but instead of brushing smoothly, pounce the paint with a stiff bristle brush. An old brush cut flat like a stencil brush is excellent. Unlike the ready-prepared mechanically textured boards that have a monotonously even surface, yours can have an interesting textured effect for paintings on wooden panels for sale, as rough and uneven as you like. The surface can always be sanded down if certain areas are too rough. Except reproductions of oil painting on canvas, you also may get favorite painting art on wood from Toperfect Art. Toperfect is an experienced enterprise specializing in manufacturing various styles of oil painting on wood cheap. Toperfect Art sell impressionism, landscape, cityscapes on oilpaintingfactory.com, all can be painted as wood art painting in subjects of seascape, ship, as well as people/portrait, floral , still life, military/ historical, and animal, bird. 2) Different sizes and subjects for painting wood available according to clients' requirements. 4) The buyers can buy just oil paintings on board or with frames.